Thanks for accessible write-up. The picture placing the Ring-necked and Less Scaup together was most helpful. 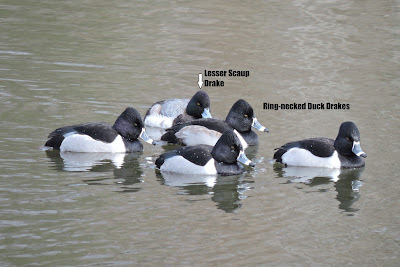 I liked the term 'blue bill' but for the longest time thought it was Ruddy ducks! Thanks for sharing this blog.Good efforts! !